This product is expected to ship on Wednesday, April 24 if you place your order within the next -6 hours and 5 minutes. 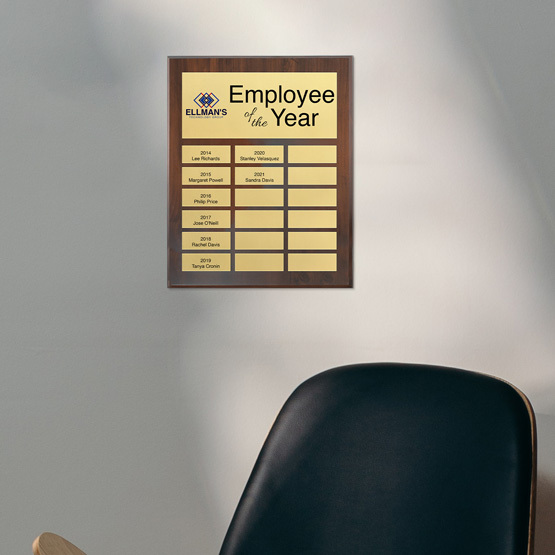 Recognize employees of the month or highlight sponsor or contributor names on these perpetual award plaques. Choose from a variety of board materials for the 12" x 15" wood board, including a finish that complements your office or business decor. 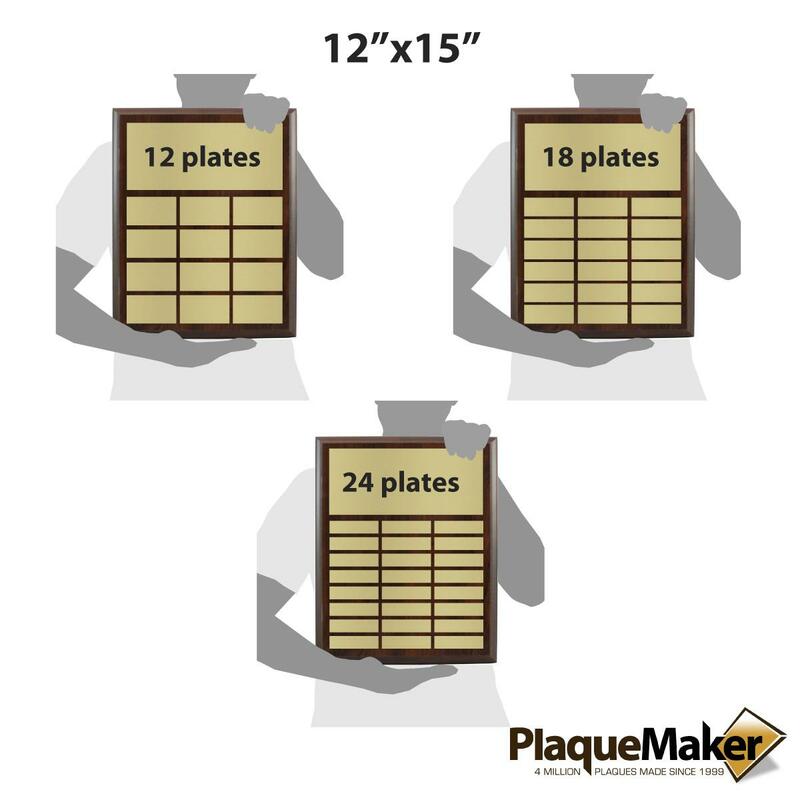 The gold, silver or white aluminum bottom plates are sized so you can fit 12, 18 or 24 on each board. Overall Size: 12 x 15"
Costumer service was amazing! Thank you for having such a patience with my university! 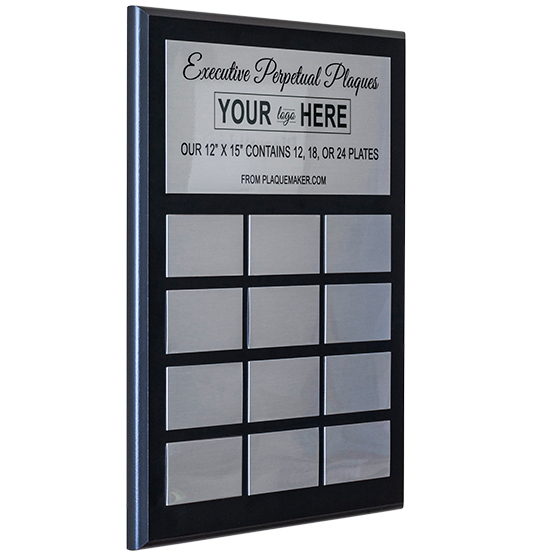 We have hundreds of professional and social clubs on campus who would love to have y'all be our plaque maker. The first proof wasn't correct but it was quickly fixed and I'm very happy with the item. Excellent response times and customer service.